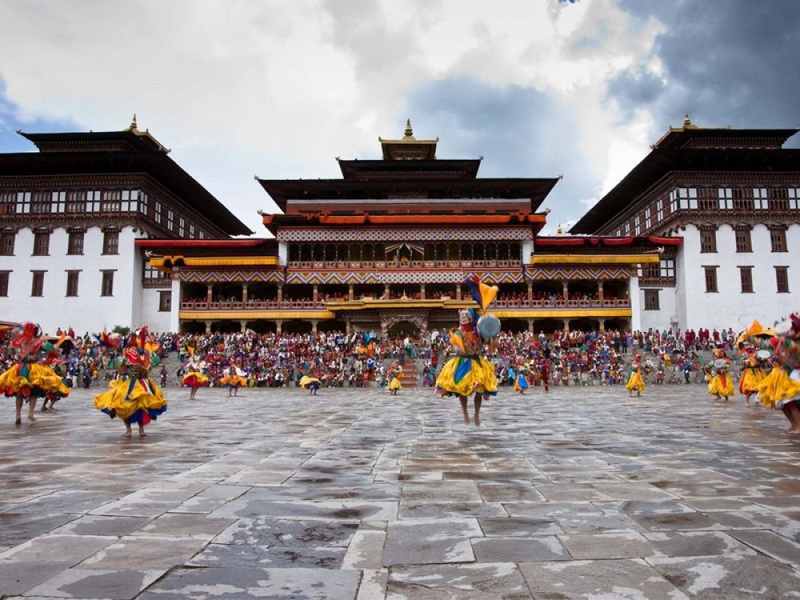 Choose this cultural tour, if you want to explore western Bhutan’s unique culture and traditions, superb arts and crafts, beautiful houses and landscapes dotted with fluttering prayer flags and a stunning view of magnificent snowcapped mountains and lush green valleys with a lot of pure crisp air to breathe on the way. Arrive Paro and transfer to hotel for the overnight halt. 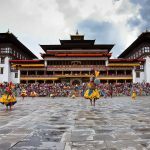 Day 03: Paro – Thimphu. After breakfast, visit Drukgyel Dzong (fortress) and Kyichu Lhakhang (Monastery). Catch a towering view of Mount Jhomolhari from the base of Drukgyel Dzong. Afternoon, visit Ta Dzong (now National Museum) and then Paro Dzong. Then drive to Thimphu (about 1 hr 30 m drive). On arrival, transfer to hotel for the overnight halt. Morning, visit National Library, Institute of Traditional Arts, Folk Heritage Museum and National Institute of Traditional Medicine. After lunch, visit Tashichhoedzong, Textile Museum and Handicrafts Emporium. Overnight halt in the hotel. Day 05: Thimphu – Punakha/Wangdue. After breakfast, drive to Punakha and Wangdue (about 2 hrs drive). Enroute, halt at Dochula pass (10500 feet) to see the spectacular view of snow-capped eastern Himalayan Mountains. 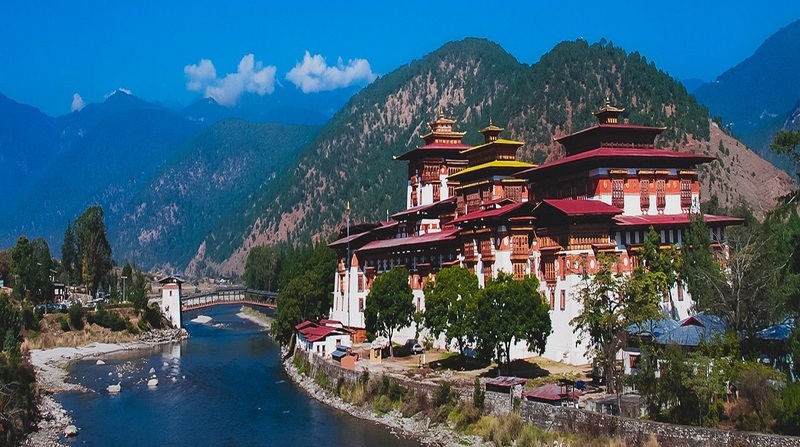 After lunch, visit Punakha Dzong and Khamsum Yuela Chorten. Overnight halt in the hotel. Day 06: Punakha/Wangdue – Trongsa. 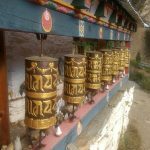 After breakfast, visit Chimi Lhakhang (about 20 minutes leisure walk across the rice fields from the road) and Wangdue Dzong. After lunch, drive to Trongsa (about 4 hrs drive) and upon arrival transfer to hotel for the overnight halt. Day 07: Trongsa – Bumthang. Morning visit Trongsa Dzong and Ta Dzong. After lunch drive to Bumthang (about 2 hrs drive) and on arrival transfer to hotel for the overnight halt. Day 09: Bumthang – Wangdue. After breakfast drive to Wangdue,(about 6 hrs drive), en route visit Gangtey Gompa at Phobjikha. Overnight halt in the hotel. 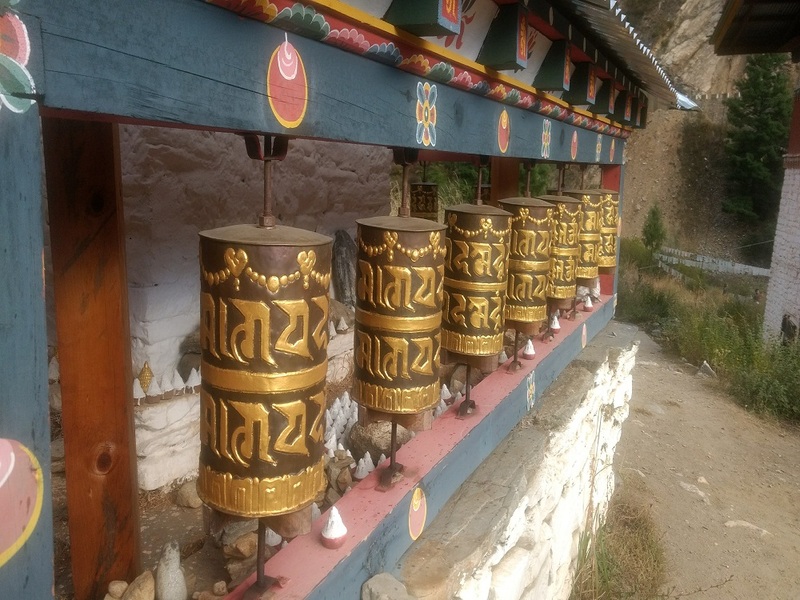 Day 10: Wangdue – Paro. Morning, drive to Paro (about 3hrs 20 m drive). Upon arrival, check into a hotel for overnight. Evening, take a leisurely walk through Paro town. Day 10 Transfer to airport for your next destination.